This statement emerged from an open forum held at the Association for Asian Studies annual meeting held in Chicago during March 2015, and from subsequent discussions on line among a wide range of Japan scholars. It represents the opinions only of those who have signed it and not of any organization or institution. The undersigned scholars of Japanese studies express our unity with the many courageous historians in Japan seeking an accurate and just history of World War II in Asia. Because Japan is a second home as well as a field of research for many of us, we write with a shared concern for the way that the history of Japan and East Asia is studied and commemorated. In this important commemorative year, we also write to celebrate seventy years of peace between Japan and its neighbors. Postwar Japan’s history of democracy, civilian control of the military, police restraint, and political tolerance, together with contributions to science and generous aid to other countries, are all things to celebrate as well. Yet problems of historical interpretation pose an impediment to celebrating these achievements. One of the most divisive historical issues is the so-called “comfort women” system. This issue has become so distorted by nationalist invective in Japan as well as in Korea and China that many scholars, along with journalists and politicians, have lost sight of the fundamental goal of historical inquiry, which should be to understand the human condition and aspire to improve it. Exploitation of the suffering of former “comfort women” for nationalist ends in the countries of the victims makes an international resolution more difficult and further insults the dignity of the women themselves. Yet denying or trivializing what happened to them is equally unacceptable. 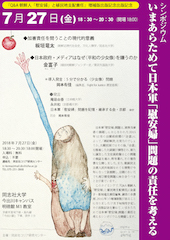 Among the many instances of wartime sexual violence and military prostitution in the twentieth century, the “comfort women” system was distinguished by its large scale and systematic management under the military, and by its exploitation of young, poor, and vulnerable women in areas colonized or occupied by Japan. There is no easy path to a “correct history.” Much of the archive of the Japanese imperial military was destroyed. The actions of local procurers who provided women to the military may never have been recorded. But historians have unearthed numerous documents demonstrating the military’s involvement in the transfer of women and oversight of brothels. Important evidence also comes from the testimony of victims. Although their stories are diverse and affected by the inconsistencies of memory, the aggregate record they offer is compelling and supported by official documents as well as by the accounts of soldiers and others. Historians disagree over the precise number of “comfort women,” which will probably never be known for certain. Establishing sound estimates of victims is important. But ultimately, whether the numbers are judged to have been in the tens of thousands or the hundreds of thousands will not alter the fact of the exploitation carried out throughout the Japanese empire and its war zones. documents to challenge the victims’ testimony both misses the fundamental issue of their brutalization and ignores the larger context of the inhumane system that exploited them. Like our colleagues in Japan, we believe that only careful weighing and contextual evaluation of every trace of the past can produce a just history. Such work must resist national and gender bias, and be free from government manipulation, censorship, and private intimidation. We defend the freedom of historical inquiry, and we call upon all governments to do the same. twentieth centuries, including the United States, the European nations, and Japan, can claim to have sufficiently reckoned with their histories of racism, colonialism, and war, or with the suffering they inflicted on countless civilians around the world. Japan today values the life and rights of every individual, including the most vulnerable. The Japanese government would not tolerate the exploitation of women in a system like the military “comfort stations” now, either overseas or at home. Even at the time, some officials protested on moral grounds. But the wartime regime compelled absolute sacrifice of the individual to serve the state, causing great suffering to the Japanese people themselves as well as to other Asians. No one should have to suffer such conditions again. This year presents an opportunity for the government of Japan to show leadership by addressing Japan’s history of colonial rule and wartime aggression in both words and action. In his April address to the US Congress, Prime Minister Abe spoke of the universal value of human rights, of the importance of human security, and of facing the suffering that Japan caused other countries. We applaud these sentiments and urge the Prime Minister to act boldly on all of them. The process of acknowledging past wrongs strengthens a democratic society and fosters cooperation among nations. Since the equal rights and dignity of women lie at the core of the “comfort women” issue, its resolution would be a historic step toward the equality of women and men in Japan, East Asia and the world. In our classrooms, students from Japan, Korea, China and elsewhere discuss these difficult issues with mutual respect and probity. Their generation will live with the record of the past that we bequeath them. To help them build a world free of sexual violence and human trafficking, and to promote peace and friendship in Asia, we must leave as full and unbiased an accounting of past wrongs as possible. – Daniel Aldrich, Professor of Political Science, Purdue University. – Jeffrey Alexander, Associate Professor of History, University of Wisconsin-Parkside. – Anne Allison, Professor of Cultural Anthropology, Duke University. – Marnie Anderson, Associate Professor of History, Smith College. – Alan Baumler, Professor of History, Indiana University of Pennsylvania. – Alexander R. Bay, Associate Professor, History Department, Chapman University. – Theodore C. Bestor, Professor of Social Anthropology, Harvard University. – Herbert Bix, Professor Emeritus of History and Sociology, Binghamton University. – Daniel Botsman, Professor of History, Yale University. – Thomas Burkman, Research Professor of Asian Studies Emeritus, SUNY Buffalo. Asian Studies & Centre for Comparative Literature, University of Toronto. – Parks M. Coble, Professor of History, University of Nebraska, Lincoln. – Theodore F. Cook, Professor of History, William Paterson University. – Bruce Cumings, Professor of History, University of Chicago. – Katarzyna Cwiertka, Professor of Modern Japanese Studies, Universiteit Leiden. – Eric Dinmore, Associate Professor of History, Hampden-Sydney College. – Ronald P. Dore, Honorary Fellow, London School of Economics. – Mark Driscoll, Professor of East Asian Studies, UNC, Chapel Hill. – Prasenjit Duara, Raffles Professor of Humanities, National University of Singapore. – Alexis Dudden, Professor of History, University of Connecticut. – Martin Dusinberre, Professor of Global History, University of Zürich. – Peter Duus, Professor of History (Emeritus), Stanford University. – Steve Ericson, Associate Professor of History, Dartmouth College. – Elyssa Faison, Associate Professor, University of Oklahoma. – Norma Field, Professor Emerita of East Asian Studies, University of Chicago. – W. Miles Fletcher, Professor of History, University of North Carolina, Chapel Hill. – Petrice R. Flowers, Associate Professor Political Science, University of Hawaii. – Joshua A. Fogel, Professor of History, York University, Toronto. – Takashi Fujitani, Professor of History, University of Toronto. – Timothy S. George, Professor of History, University of Rhode Island. – Christopher Gerteis, Chair, Japan Research Centre, SOAS, University of London. – Carol Gluck, Professor of History, Columbia University. – Andrew Gordon, Professor of History, Harvard University. – Helen Hardacre, Professor of Religions and Society, Harvard University. Professor of Japanese History, Columbia University. – Tsuyoshi Hasegawa, Professor of History, University of California at Santa Barbara. – Akiko Hashimoto, Associate Professor of Sociology, University of Pittsburgh. – Sally A. Hastings, Associate Professor of History, Purdue University. – Tom Havens, Professor of History, Northeastern University. – Kenji Hayao, Associate Professor, Political Science Department, Boston College. – Laura Hein, Professor of History, Northwestern University. – Robert Hellyer, Associate Professor of History, Wake Forest College. – Manfred Henningsen, Professor of Political Science, University of Hawaii at Manoa. – Katsuya Hirano, Associate Professor of History, UCLA. – David L. Howell, Professor of Japanese History, Harvard University. – Douglas Howland, Professor of History, University of Wisconsin-Milwaukee. – Akira Iriye, Professor Emeritus, Harvard University. – Rebecca Jennison, Professor, Department of Humanities, Kyoto Seika University. – William Johnston, Professor of History, Wesleyan University. – John Junkerman, Documentary Filmmaker. – Ikumi Kaminishi, Associate Professor of Art and Art History, Tufts University. – Ken Kawashima, Associate Professor of East Asian Studies, University of Toronto. – William W. Kelly, Professor of Anthropology, Yale University. – James Ketelaar, Professor of History, University of Chicago. – R. Keller Kimbrough, Associate Professor, University of Colorado at Boulder. – Miriam Kingsberg, Assistant Professor of History, University of Colorado. – Victor Koschmann, Professor of History, Cornell University. – Ellis S. Krauss, Professor Emeritus, University of California, San Diego. – Josef Kreiner, Professor Emeritus, Rheinische Freidrich-Wilhelms Universität Bonn. – Andrew Levidis, Fellow, Reischauer Institute, Harvard University. – Ilse Lenz, Professor Emeritus of Sociology, Ruhr University Bochum, Germany. – Yukio Lippit, Professor of History of Art and Architecture, Harvard University. – Susan Orpett Long, Professor of Anthropology, John Carroll University. – Vera Mackie, Professor of Asian Studies, University of Wollongong. – Wolfram Manzenreiter, Professor of Japanese Studies, University of Vienna. – William Marotti, Associate Professor of History, UCLA. – Y. Tak Matsusaka, Professor of History, Wellesley College. – James L. McClain Professor of History, Brown University. – Gavan McCormack, Professor Emeritus of History, Australian National University. – Melissa McCormick, Professor, Harvard University. – David McNeill, Journalist and Professor, Sophia University. – Mark Metzler, Professor of History, University of Texas at Austin. – Ian J. Miller, Professor of History, Harvard University. – Janis Mimura, Associate Professor, State University of New York, Stony Brook. – Yuki Miyamoto, Associate Professor of Religious Studies, DePaul University. – Barbara Molony, Professor of History, Santa Clara University. – Yumi Moon, Associate Professor of History, Stanford. – Aaron Moore, Lecturer in East Asian History, The University of Manchester. – Tessa Morris-Suzuki, Professor of Japanese History, Australian National University. – Tetsuo Najita, Professor Emeritus of History, University of Chicago. of North Carolina at Chapel Hill. 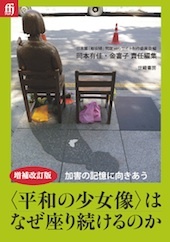 – Satoko Oka Norimatsu, Editor, Asia-Pacific Journal: Japan Focus. – Markus Nornes, Professor of Asian Cinema, University of Michigan, Ann Arbor. Studies Program, Gustavus Adolphus College. – Eiko Otake, Visiting artist, Wesleyan University. – Simon Partner, Professor of History, Duke University. Politics, University of California, Berkeley. – Matthew Penney, Associate Professor, Concordia University. – Samuel E. Perry, Associate Professor of East Asian Studies, Brown University. – Leslie Pincus, Associate Professor of History, University of Michigan. – Janet Poole, Associate Professor of East Asian Studies, University of Toronto. – Roger Pulvers, Author and Translator, Sydney, Australia. – Steve Rabson, Professor Emeritus of East Asian Studies, Brown University. – Mark Ravina, Professor of History, Emory University. – Steffi Richter, Professor of East Asian Studies, Universität Leipzig. – Luke Roberts, Professor of History, University of California Santa Barbara. – Jay Rubin, Professor Emeritus, Harvard University. – Jordan Sand, Professor of History, Georgetown University. – Wesley Sasaki-Uemura, Associate Professor of Japanese History, University of Utah. and Sexuality Studies, Brandeis University. – Andre Schmid, Associate Professor of East Asian Studies, University of Toronto. Literature, University of Massachusetts Amherst. – Ethan Segal, Associate Professor of History, Michigan State University. – Wolfgang Seifert, Professor Emeritus of Japanese Studies, University of Heidelberg. – Franziska Seraphim, Associate Professor of History, Boston College. – Sayuri Guthrie Shimizu, Professor of History, Rice University. – Eiko Maruko Siniawer, Associate Professor of History, Williams College. – Patricia Sippel, Professor, Toyo Eiwa University. – Richard Smethurst, Professor Emeritus of History, University of Pittsburgh. – Kerry Smith, Associate Professor of History, Brown University. – M. William Steele, Professor of History, International Christian University. – Stefan Tanaka, Professor of Communication, University of California, San Diego. – Alan Tansman, Professor of Japanese Literature, University of California Berkeley. – Sarah Thal, Associate Professor of History, University of Wisconsin-Madison. – Mark Tilton, Associate Professor of Political Science, Purdue University. – Julia Adeney Thomas, Associate Professor of History, University of Notre Dame. – Jun Uchida, Associate Professor of History, Stanford University. – Stephen Vlastos, Professor of History, University of Iowa. – Ezra F. Vogel, Professor Emeritus, Harvard University. – Klaus Vollmer, Professor of Japanese Studies, LMU Munich University. – Anne Walthall, Professor Emerita of History, University of California, Irvine. – Max Ward, Assistant Professor of History, Middlebury College. – Lori Watt, Associate Professor of History, Washington University in St. Louis. – Gennifer Weisenfeld, Professor, Duke University. – Michael Wert, Associate Professor, Marquette University. – Kären Wigen, Professor of History, Stanford University. – Samuel H. Yamashita, Henry E. Sheffield Professor of History, Pomona College. – Daqing Yang, Associate Professor, George Washington University. – Christine Yano, Professor of Anthropology, University of Hawaii at Manoa. – Marcia Yonemoto, Associate Professor of History, University of Colorado Boulder. – Lisa Yoneyama, Professor of East Asian Studies, University of Toronto. – Theodore Jun Yoo, Associate Professor of History, University of Hawaii. – Takashi Yoshida, Professor, Western Michigan University. – Louise Young, Professor of History, University of Wisconsin-Madison. Associate Professor of Japanese, Wellesley University. – Reinhard Zöllner, Professor of Japanese and Korean Studies, University of Bonn.